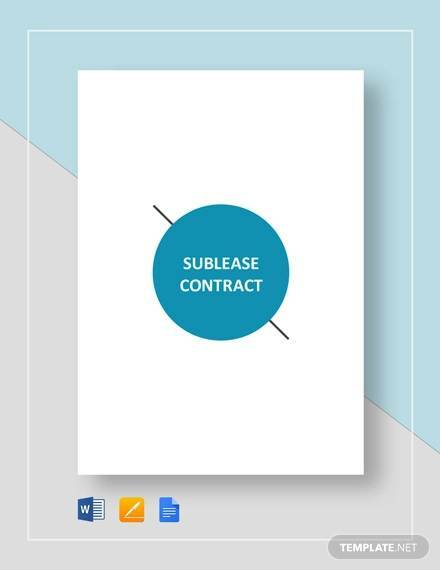 A sublease is a real property rental agreement between an original tenant and a new tenant. 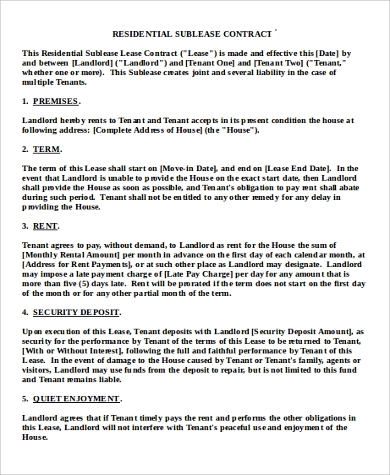 According to Investopedia, the arrangement between a landlord and a tenant is the most common example of a sublease. If you are planning whatsoever on having a sublease, it is essential and highly important to ask the permission for your landlord or landowner first rather than having to face the consequences later. 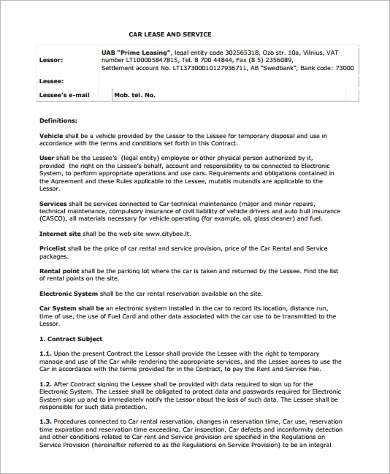 For further information, you can also check out this page’s Sample Contracts for free, which you might find useful and helpful for reference and for your guide as you go along the way. 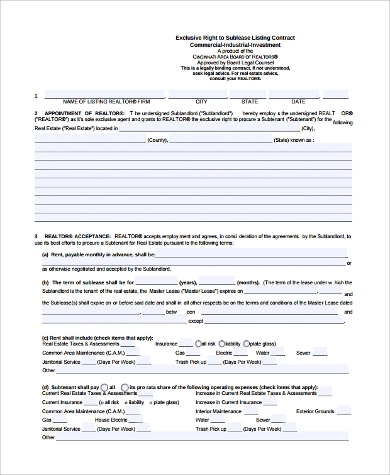 Other than that, if you are planning to write your own sublease, here are some useful tips and guidelines that you might find useful. 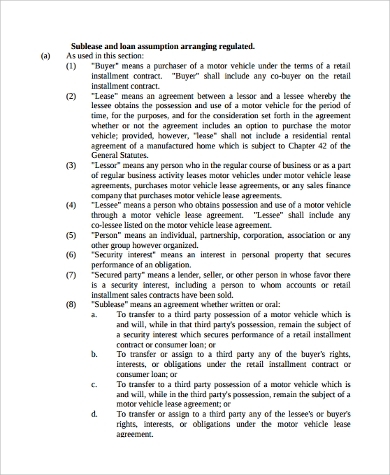 You can also consider checking out for examples of Commercial Sublease Agreements on this page for free, which is also useful for you reference and such. 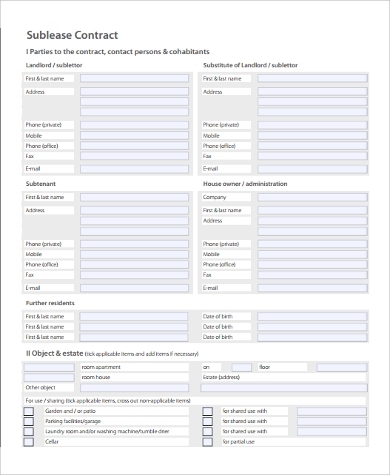 Determine and specify the name of the parties, given the date of the contract. This part is where you identify the full names of both parties. Parties could either be a certain individual, a group of individuals, or a business entity. 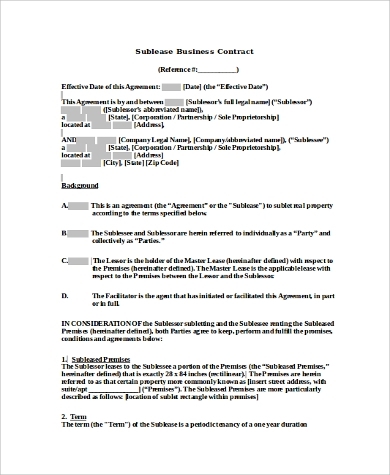 Along with both parties’ full names, also include their roles and functions as well as their contributions to the agreement or to the sublease contract. The Terms and Conditions. This is where both of the parties should state their grounds, terms, and conditions that were discussed and mutually agreed by both sides. It should also determine the exact date of when the sublease will begin and when the sublease will end. Rent amount and the rent schedule. 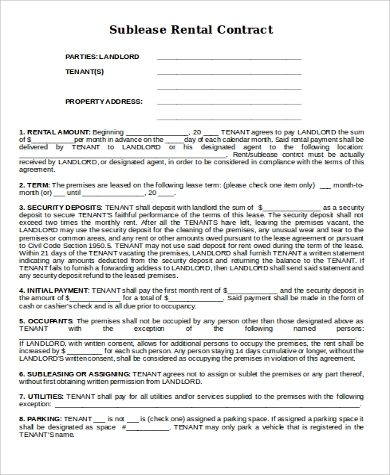 This part of the agreement is where you exactly indicate the discussed amount of rent that was being agreed as well as the exact date of every month as to when will the tenant pay his dues. 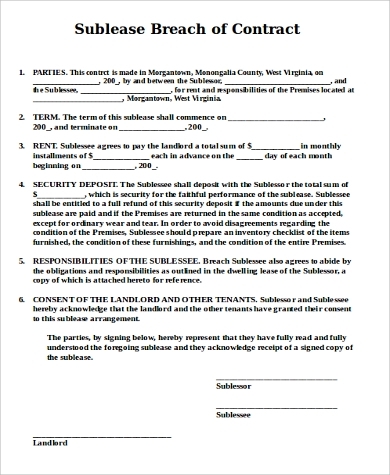 For example, you can say, “Subtenant will pay tenant the sum of $150 every month, which is to be received by the tenant at the end of each month.” You can also consider checking out the Sample Sublease Agreements for free, which you may find useful. Of down payments and security deposits. This part is somehow considered to be optional, but if this part of the agreement must be included, it should properly state the amount of the security deposits as well as its down payment, ideally at the expiration of the lease. Signature along with the date of the contract. This part is almost like the closing part. Both parties’ legitimate full names should be written as both parties sign the sublease contracts. 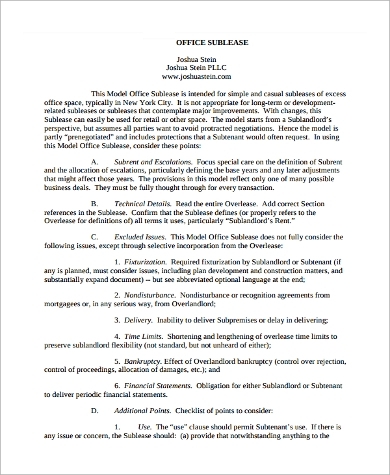 It is also to important to have both parties who are involved to be provided copies of the sublease contract. 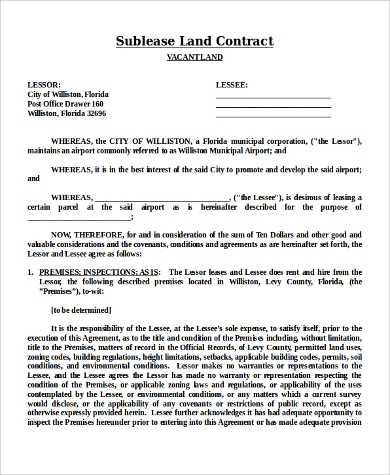 Sending the contract to the landowner.